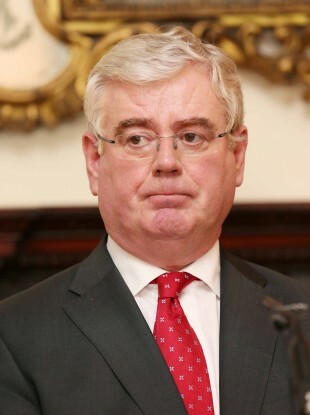 TÁNAISTE EAMON GILMORE will swear an oath to fulfil his duties “in the presence of Almighty God” prior to the meeting of the Council of State today despite being an agnostic. According to Atheist Ireland, Gilmore is the first Irish person publicly identified as a non-believer that will be required to swear a constitutional oath with a religious reference. Its letter to Gilmore argues: “Because you are the first Irish person to be publicly placed in this dilemma, whatever you do will create a precedent. The Tánaiste is not appointed by the President as a member of the Council of State but under the Constitution is automatically a member. This is the first time the Council has met since the current coalition government took office and since President Michael D Higgins took office in November 2011. Under the Constitution, the President has only the power to dismiss or accept the resignation of a council member that he himself appointed and because of this, it is not immediately clear if the council would be prevented from conducting its business if Gilmore refused to take the oath. According to Eoin Daly, lecturer at UCD School of Law, it is unlikely that the meeting would be abandoned under those circumstances. “There can be no doubt but that, whether we like it or not, the Tanaiste is constitutionally obliged to swear the oath as set down,” said Daly. “The key here is that the Council of State is essentially an advisory body, which means that it doesn’t issue decisions, orders or judgments of any sort. Michael Nugent, chairman of Atheist Ireland, told TheJournal.ie that he expects the Tánaiste’s refusal would cause a “mini constitutional crisis” but added that he believes such a crisis would be good for the country. In any event, Gilmore has committed to taking the oath. The Council of State meets today to advise the President on whether he should sign the abortion legislation into law or refer it to the Supreme Court to test its constitutionality. The ultimate decision lies with President Higgins alone. Read: So what happened when the Council of State was convened in the past? Email “Tánaiste will swear oath ‘in the presence of Almighty God’ despite being agnostic”. Feedback on “Tánaiste will swear oath ‘in the presence of Almighty God’ despite being agnostic”.